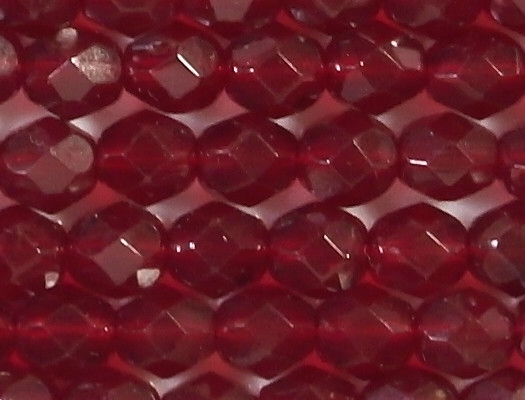 Size/shape: 6mm round with facets. 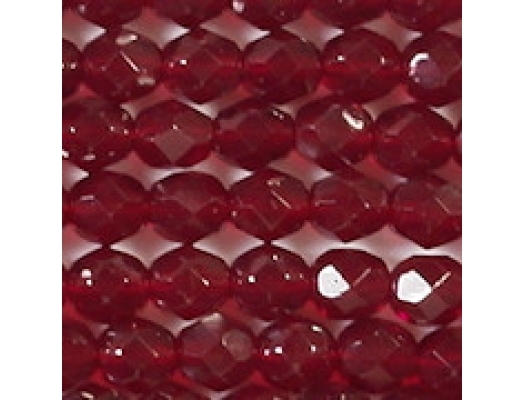 Colors/description: Translucent medium garnet red. 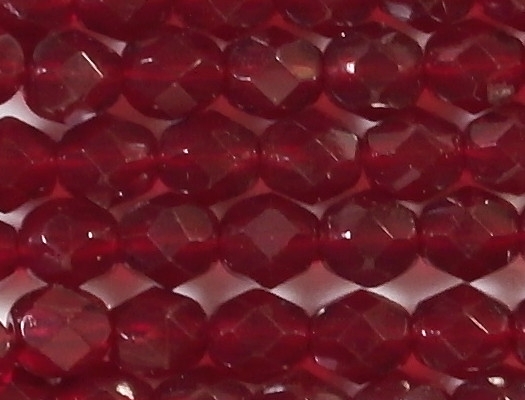 Defects: The beads appear to be in good shape, but fire-polished faceted beads always have some imperfect facets. 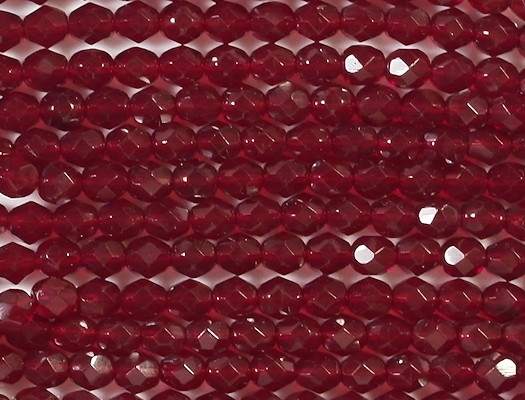 Comments: The original batch of these beads, which I listed under the number F098, was considerably darker than these beads, and that's why I'm calling this new batch "medium" garnet. 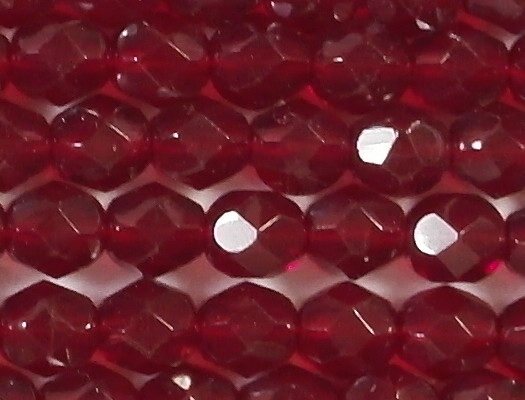 My picture doesn't seem to represent the color of the beads accurately, but that may be because I am using an LCD monitor with T-panel technology (such monitors don't have the best color reproduction). Whether you are seeing an accurate color on your monitor depends on what kind it is. If you have a CRT monitor or an expensive LCD monitor with high-end tehnology, the color you see may be accurate; but if you have the same type of monitor that I have, the color will be off slightly. 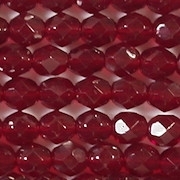 In my opinion, the beads look better than the picture shows them to be.